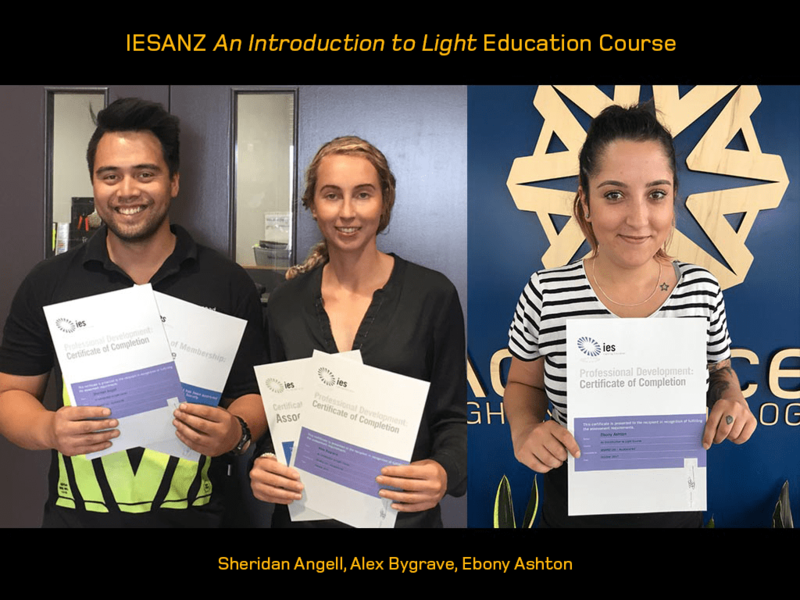 Ebony Ashton, Sheridan Angell and Alex Bygrave all successfully completed the IES Introduction to Light Course in November 2017. At ADLT, we value any opportunity to up-skill our staff and expand their capabilities. The Introduction to Light Course is a great step towards developing knowledge of industry relevant terminology and energy efficient lighting practices.